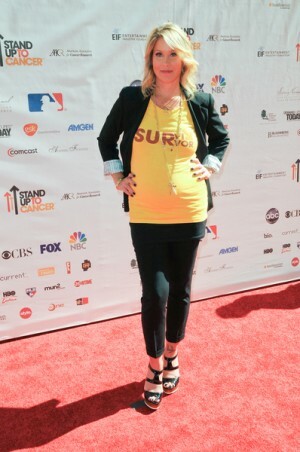 Christina Applegate joined many celebrities yesterday for the televised “Stand Up 2 Cancer” benefit. Christina is a breast cancer survivor and was one of the first on television at the benefit. Christina recently got engaged to Martyn Lenoble and announced she is expecting a baby. Christina Applegate has a breast cancer foundation, Right Action for Women teamed up earlier this year with It’s a 10 hair care. Christina Applegate is Having a Baby! Jessica Simpson Has the Baby!